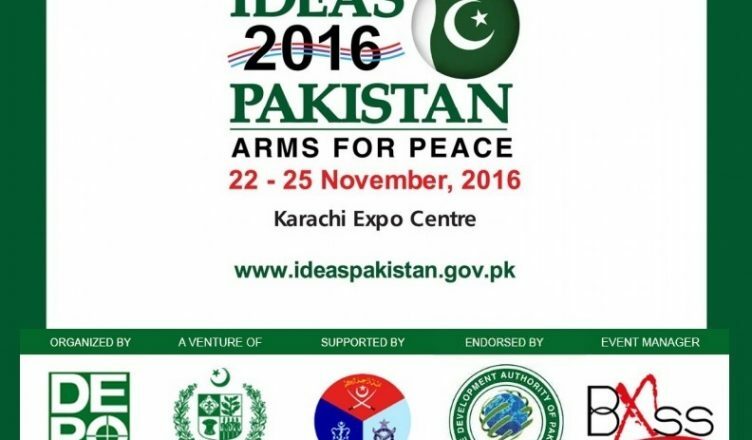 Pakistan’s Premier Defence exhibition, 9th International Defence Exhibition and Seminar (IDEAS) 2016 will be starting in the city of lights Karachi on Expo Centre from November 22 to 25, 2016. This mega event takes place after every two years and it gives opportunity to various countries who have friendly relations with Pakistan to display their products related to Defence and Security. 333 firms, national armies and defence contractors from 38 different countries will take part in this exhibition. This includes internationally regarded military strategists and senior military command from all over the world. This event is organized by Defence Export Promotion Organization (DEPO) with the support of Pakistan armed forces. The event has endorsement of top trade organization of Pakistan “Trade Development Authority of Pakistan (TDAP)”. While PR firm for this mega event is Badar Expo Solutions. This exhibition gives a platform for Pakistani Armed Forces to display their products to various prospective buyers and get more access into the emerging economies. The regions like central Africa have the potential and the need for getting security solutions at a good value for money. The utmost dynamic geopolitical region of South Asia is one of the biggest markets for Defence & Security products. For effectively meeting the new demand due to changing regional and global security dynamics, government from the continent of Asia as well as Africa dedicate a very large segment of their budgets for up-gradation and modernization programs for their respective armed forces. 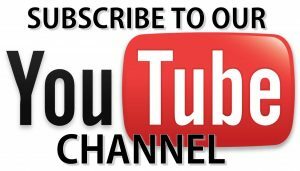 It all started in the year 2000 by the then Army Chief General Pervez Musharraf to increase the exposure of Pakistani Defence Equipment to the prospective clients. With 65 firms participating in the event, it was a very good start. It is expected that the pride of Pakistan China Friendship, the state of the art JF-17 Thunder aircraft will be on display at IDEAS 2016. It is expected that this top of the line aircraft made by Pakistan Air Force along with collaboration with their counterpart from China will finally get its first foreign buyer. Apart from JF-17. The heavy infantry segment will be highlighted by the presence of Al-Khalid tank mass produced by Heavy Industries Taxila. This tank is completely locally manufactured and has been the center of attention for many visitors. The latest drone technology will also be showcased by various exhibitors complying to the changing global security requirements. The exhibition will not cater the requirement of the armies but also the tactical and other security issues faced all over the world by the security institutions and police department for urban combat, terrorism in big cities and riots. It is also expected that Blitzkrieg Solution will unveil their Mine-Resistant Ambush Protected (MRAP) vehicle in the Exhibition. It will be their first unveiling at IDEAS. The interesting fact is that Blitzkrieg Solution is a private arms contractor working in Pakistan. This product has a potential to be the game changer in the private defence contractor segment in Pakistan. The MRAP are a must have products in current security dynamics for every country. To cater the traffic issue that arose due to closer of roads going towards Expo Center, authorities have made necessary arrangements. According to Associated Press Office of the Deputy Inspector General of Police Traffic Karachi has unveiled the traffic plan for the mega event. A briefing was arranged in this regard by the Defence Export Promotion Organization (DEPO) and presentation on traffic plan was given by SSP Erum Awan. On November 22, due to security reasons both tracks of University Road will be completely closed from Jafri Optics to Civic Center till 01.00 pm for vehicular traffic. 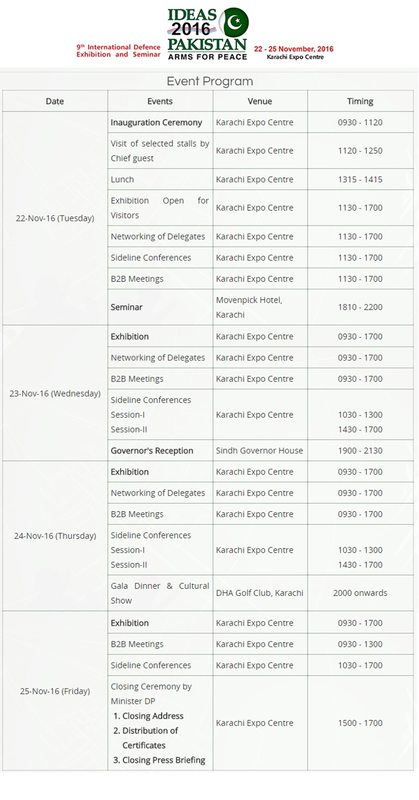 It is expected that Prime Minister of Pakistan, Mian Muhammad Nawaz Shareef will visit the exhibition, along with the President Mamnoon Hussain. So, do the inauguration of the exhibition will be done by the outgoing Chief of Army Staff General Raheel Shareef. IDEAS takes place in one of the most strategically important locations in Asia. Pakistan has become of more ample importance since the announcement of China-Pakistan Economic Corridor (CPEC) which will go through the entire stretch of Pakistan and through every province bringing prosperity and economic growth to the entire nation.